It is a brand-new currency designed to make purchasing easier. They offer less transaction fees for their members, less clutter, no need for traditional banks, and provide a much simpler way to make payments transparent. 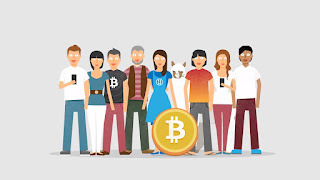 You can use bitcoin to book flights, utilize travel agencies, buy Apple products, use a premium dating service, buy clothes, web-hosting, alongside many other prominent companies. The bitcoin QT software allows people to generate digital currency without the use of any type of third-party agent. The bitcoin QT comes with a unique address for you to send and receive payments with bitcoin. This means you can remain totally anonymous without the need of a bank account, your Social Security number, or even your name. What you will need however, is bitcoin mining equipment to help generate bitcoin's because the CPU power alone probably won't generate enough cryptocurrency for you to use to make any type of purchase. Once generated, these bitcoin's will be stored in the bitcoin QT wallet. The difference between other bitcoin wallets like Coinbase or Blockchain.info is you need to set them up with your name, Social Security Number, email, or other sensitive data you might not want to pass along. Since bitcoin mining is becoming a thing of the past, more & more people are trickling into cloud mining. This will entail not being able to remain anonymous so setting up an online digital wallet will not be a bad thing. The security is still top-notch for many of the top online wallets so the need to be anonymous is pretty much non-existent. When I get asked the question what is bitcoin? I just tell folks it's a brand-new currency that can be developed out of thin air because you don't have to have a bank account, Social Security number, or even a name. You just have to have the desire to learn a new concept designed to eliminate all the fallacies that has been created over the years by the corrupt banking system, of corporate America, corrupt governments across the globe, and provide a solution for those problems. The bitcoin QT is the main source for generating bitcoin without the hassle of releasing any type of sensitive information that you don't want to. When people say bitcoin is not anonymous this is not true. In fact, it can be so secretive that a company you join won't have access to any of your information or transactional records. This is different when you go to a job and you give them your Social Security number, your name, your address, and a whole bunch of paper work releasing personal information and records. All of this stuff is designed to keep track of you and your finances while on earth. Now there is a system out there that you can actually generate an income without people knowing who you are, which is pretty neat. And all you need is a computer, some bitcoin mining equipment, and the bitcoin QT software downloaded on your computer and you can begin to generate digital currency that everybody is talking about now.